The other day I stood in the twilight outside a church hall with my daughter waiting for a club to start. Buses pulled up at the nearby bus-stop belching fumes. And in the narrow passage leading to the church door, plastic bags and empty chip packets floated in the breeze. As I tried to be cheerful, I had a bright idea. I picked up the rubbish and put it in the nearby bin. As other mothers and daughters joined our queue I felt proud that I had made this little corner of England more pleasant for all of us. 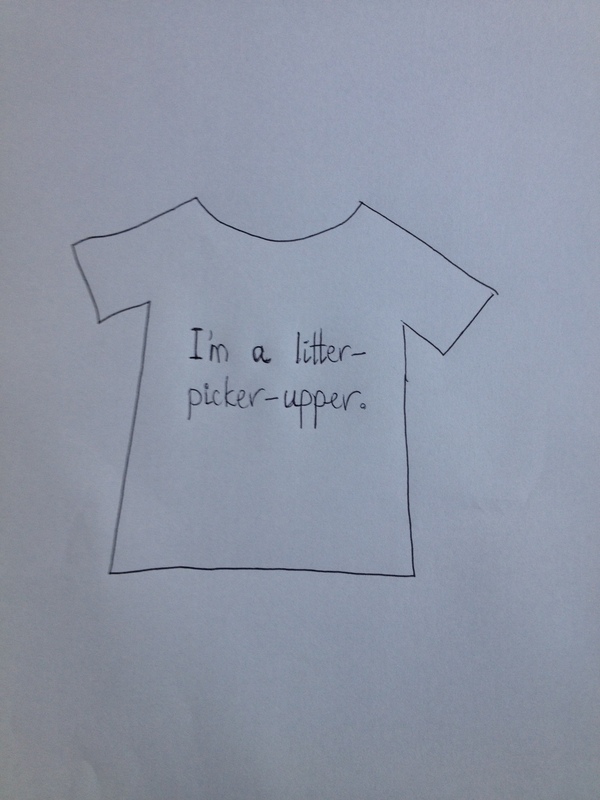 I have to confess that it was only this summer that I became a litter-picker-upper. As a child growing up in New Zealand it was drilled into me that dropping litter was an anti-social act of the first order. Is it embarrassing for me to admit that I don’t believe I have ever dropped a piece of rubbish in my entire life? However, picking up other people’s rubbish – now that was a step too far. Why does a perfectly clean crisp packet floating in the breeze become something too foul for most of us to even contemplate picking up? Why is a freshly dropped sweet wrapper a thing we wince to touch? In a way, this shows how much we all dislike litter – in the act of being dropped and left to float about, a transformation occurs, and it becomes too foul for us to want to touch. Odd, isn’t it? Well this summer, on a beach in Cornwall, I got over all that. I sat gazing at, yes, a crisp packet, tossing and turning in the waves, feeling grumpy about modern existence. Then I had the bright idea to fish the soggy packet out of the sea and stuff it dripping into the side pocket of my backpack. Oh the transformation of the scene, by this so simple act. Ah, the pleasure of gazing out at the silver sea. Of course, once you start, it’s hard to know when to stop. If you are not careful a maniac is born! After all, here in the heart of London, it’s not possible to leave the house without coming across litter. 1. Picking up litter is far less foul than you think. It is just stuff that someone else, not long before, has dropped. 2. Picking up litter has an extraordinary ability to transform your day and the pleasure you can take in your immediate surroundings. 3. So limit your litter-picker-upper-ing to spots where you can make a real difference. Transform your trip to the park or beach or local church, and make a little spot more beautiful for everyone else visiting that day. 4. If you feel like it, take a plastic bag out with you when you go out. This makes it easy. 5. If you don’t feel like doing it, don’t do it. 6. Smile and say thank you when you see an elderly lady (usually) cleaning up her little corner of the earth, often the street outside her house on a busy road. 8. Who will wear the t-shirt? 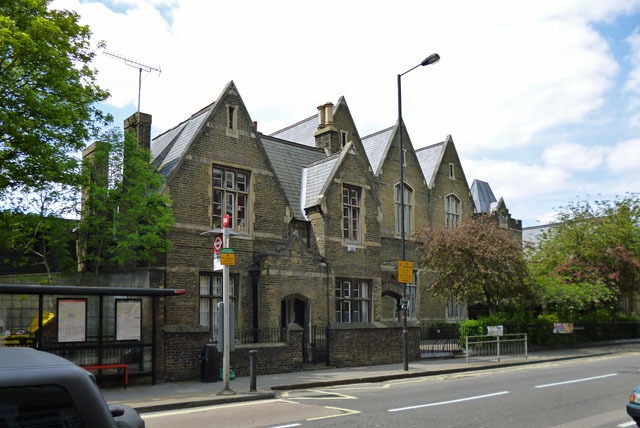 For some time the Ravenscourt Park Ward councillors have supported a campaign from parents at John Betts School for a pedestrian crossing outside the school. A disappointing response from Graham Burrell, the Council’s highways department Projects and Development Manager. Further to your earlier correspondence on the above matter, the survey / analysis work has now been completed and reported to our lead Cabinet Member, Councillor Harcourt. I attach this information. (Here is also appendix a ). The analysis recommends no change to the current pedestrian crossing facilities. The conclusions have been accepted by our lead Cabinet Member who has agreed that the report should be sent out to all interested parties. I am therefore also sending this information to John Betts school, the PTA and two parents who have been in regular direct contact with officers on this matter. Thank you for this and thank you for commissioning the study. I do, however, think that the analysis is remarkably weak. For example, much is made of the hold ups to traffic caused by the John Betts crossing, but no assessment has been made of the hold ups to traffic from the southern zebra crossing. It might well be the case that moving the southern zebra crossing to outside John Betts would reduce overall hold ups to traffic, but this point has not been considered by the analysts. It is noted that pedestrians using the southern crossing find this ‘the most convenient’, but no attempt is made to discover whether moving it to outside John Betts would made the crossing less convenient or leave it equally convenient. It is noted that a large proportion of John Betts traffic uses the southern crossing, but no indication of what proportion the John Betts traffic is of all the southern crossing users. The report makes much of the small number of people crossing outside John Betts out of the main school hours, but we are given no idea of how much or how little that southern crossing is used out of those school hours. I doubt that the John Betts parents will be satisfied with this piece of analysis. I appreciate that it would be difficult for you to commission a second study. Please, though, would you put to the analysts the questions I have raised above, which I think are important, before any final decision is made. 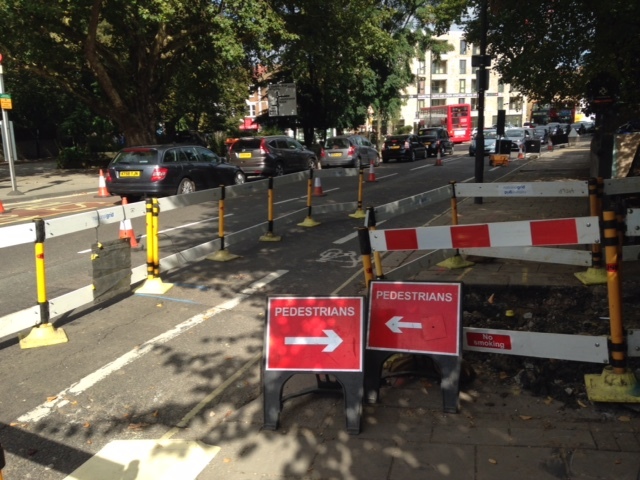 Traffic queues on Goldhawk Road – could they have been avoided? Richard Winterton has sent me the following email. The points he makes sound reasonable to me and I have raised them with the Council. You may have enjoyed the long queues on Goldhawk Road over the weekend caused by temporary traffic control lights. A gas connection at 271 Goldhawk Road has required some of the pavement to be excavated. A route for pedestrians has been created along the edge of the road, and traffic lights installed to deal with the reduced carriage way width. 2. Work to complete the gas connection should be planned to minimise the disruption of traffic lights- but the contractor has worked normal hours, stopping at 5 on Friday and at midday on Saturday. 3. With some careful planning pedestrians could have been routed around the end of the excavation with little or no encroachment on the road. 4. As a result of the lights, traffic has backed up along Goldhawk Road – on Friday back to Shepherds Bush – along Paddenswick Road, along Askew Roa! and along the Bath Road. The bus stop opposite has had to be closed. This is bad management and bad planning causing unnecessary disruption to the community. Probably no work on Sunday, so another major traffic jam on Monday. I am not sure if LBHF Highways or TfL oversee these things. In this case in seems no one does. Probably too late for effective action here, but perhaps some encouragement for more common sense in the future? Hammersmith & Fulham Labour Council’s Finance and Delivery Policy and Accountability Committee isn’t dynamic at the best of times, but last night’s meeting was a real spectacle of mediocrity and low ambition. Committee members had been led to expect a tour de force presentation from Labour’s new Cabinet Member for Commercial Revenue about how he would bring in millions to council coffers through a more commercial approach to the way the council does business. Needless to say that is far from what we got. Let’s start at the beginning. I have no idea why Labour find it necessary to have a separate Cabinet Member for commercial revenue, costing taxpayers twenty odd grand a year. How on earth is this a distinct role? When I had the privilege of serving the residents of our borough in the Council Cabinet between 2006 and 2014, it was inherent to my job and all my colleagues’ jobs to ensure we were maximising areas of commercial revenue within our own departments. None of us needed an additional colleague to try and do that bit for us! Putting that, admittedly quite fundamental, point to one side, I remained hopeful Labour might just be building on some of the major successes the previous Conservative administration had achieved on commercial revenue. For example the deal I had previously overseen to sell space in the ducts under Hammersmith & Fulham’s streets for cable companies to use that is projected to bring in £12 million. Or the deal to partner with the private sector that would have seen £2 million investment in Hammersmith Park and free new football facilities for local people (which Labour opposed). There was nothing of this scale. Or even close. 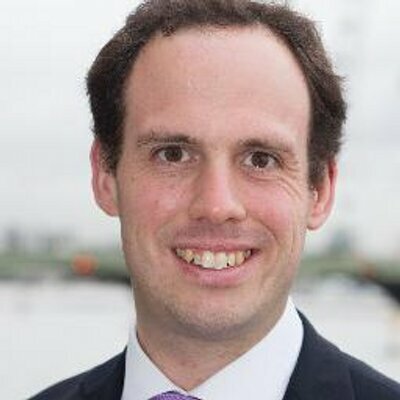 With a wide grin and self satisfied demeanour Cllr Ben Coleman said he was looking at such big ideas as renting the car park on Nigel Playfair Avenue for car boot sales. How much will that raise? £25 a car tops? Perhaps a few quid extra from a tea stall? Challenged, the Labour Councillors muttered that they don’t have a target yet as they’re still waiting for a new officer to start to come and tell them! To be fair, car boot sales were not the only things on Benji’s list. He also suggested renting council garages (the council has done that for years anyway); centralising the hire of tenants halls on estates (many such halls are run by tenants associations who spend the money they raise locally on their estates, I predict this money grab will not go down well); selling services to other councils (already done); and hosting dragons den sessions for staff (probably the best idea, so that sensible people to come up with the ideas instead). Then came that old Labour staple, hypocrisy, stating their wish to make money from advertising hoardings around the borough. Well they need not re-invent the wheel, the last Conservative administration brought in millions from installing such hoardings on sites such as the A4. The trouble here, Labour opposed every last one of them! The last item on the agenda was a performance related pay scheme for council officers. I cheekily suggested that the Cabinet Member for Commercial Revenue should perhaps receive his allowance on a performance related basis. Funnily enough Labour weren’t so keen on that. As I am a generous man I’ll give the Labour Party an ‘A’ for at least realising commercialisation is a good way forward, but they are still in ‘F’ territory when it comes to delivery and ambition. Labour talk a lot about listening to residents and wanting to make consultation more effective. But their actions regarding housing forums show they have moved in the opposite direction. There used to be area forum meetings held in Hammersmith North, South Hammersmith, Fulham North and Sands End to allow council estate residents (tenants and leaseholders) to challenge housing officers and councillors on issues of concern. Now there is a single borough wide forum – meeting at Hammersmith Town Hall – with the predictable difficulties in making it harder from those from other parts of the borough to attend and there is less chance to raise issues of local concern. The council may find the new arrangement of greater bureaucratic convenience. Nilavra Mukerji, Director of Housing Services, tells me that “standard items such as performance were discussed was not consistent between the various meetings.” The new arrangement also means that Cllr Lisa Holman, the Cabinet Member for Housing, has less work and stay cocooned in the town hall rather than getting out across the borough. These justifications are not valid. When the Conservatives regain the Council in 2018 we will restore local forums and allow council tenants and leaseholders to have their voices heard. In early September, residents in my ward (Avonmore & Brook Green) living near Gwendwr Park, received an email from Thames Water. The email alerted residents to “ground work investigation” which Thames Water would be undertaking in the coming months. No specific dates were given, and to my knowledge, none have been given yet. According to Thames Water’s website the aim of the work is to “thoroughly examine the ground conditions over the whole of the Counters Creek catchment area”. This extends beyond Shepherd’s Bush and Holland Park in the north, down to Lots Road, Chelsea and the Embankment in the south and follows approximately, the route of the original Counters Creek sewer. Thames Water will be “drilling a number of boreholes across the catchment area in order to clarify the type of soil, clay or gravel at various depths and the levels at which these are located”. The borehole work in each area is expected to take approximately five working days and there will be further communications with residents when work near them is imminent. Residents near Gwendwr Park have pushed Thames Water for more detail and this has been interesting. In what is seemingly good news for residents near Gwendwr Park, no borehole will be drilled in Gwendwr Park itself – the site that Thames Water was originally interested in. The current borehole will instead be sited within the grass verge alongside Talgarth Road and any vehicle movements will be from this road. All of this work is carried out under Thames Water’s permitted development rights meaning they do not need to seek planning permission to do the work. Council officers have reiterated to me that Thames Water is aware of the strong opposition shown to many of their originally proposed construction sites for Counters Creek. Thames Water are therefore actively pursuing investigations into alternative sites for intercepting the sewer in the Hammersmith & Fulham area. Anyone wanting more regular updates on the Counter Creek proposals, or with specific questions which I may be able to pursue please email me at carolineffiske@gmail.com. To contact Thames Water directly email consultations@thameswater.co.uk or call 0800 316 9800 (select option 2 and quote the bulletin board number 968806). I recently attended a meeting of the Council’s Economic Regeneration, Housing and the Arts Policy and Accountability Committee held to discuss the Council’s Draft Arts Strategy. As you would expect the document was largely waffle – a point made by several of the representatives from arts organisations that truned up. There was an effort for some tangible content to be included. Cllr Lucy Ivimy suggested that the council should provide a listing of arts event in its email bulletin to residents. I suggested a business rates discount for pubs that opened theatres in their basements (or upstairs rooms). What about a Ravenscourt Park Literary Festival? Sponsorship could probably defray the modest cost of a few large tents. What about the council providing some venues from its array of buildings sitting empty at evenings or weekends for performances or exhibitions? What about the council helping to match up local artists with cafes willing to display art work for sale? What about releasing some of its art collection kept in storage at the Lilla Husset centre in Talgarth Road? There are many picture of local scenes by amateur artists that could be placed on the walls of libraries, schools, GPs surgeries and council offices. Theer was no undertaking to proceed with any of these ideas. But there was a lot of talk about “inclusion” (and of being against “exclusion”), “focus”, “strategic discussions”, “consultation”, “creation”, “establish a panel”, “establish a forum”, “arts for everyone”, “stimulating ambition”, “expanding horizons”. Even the few specific points that were in the document crumbled on examination. But the Cabinet Member responsible, Cllr Andrew Jones, then announced that the Council wouldn’t. Well done Cllr Jones. With scarce resources for the arts the available money would be better spent on grants to arts organisations rather than being diverted to fund a new post for a council officer. I have written about this before. The collection is worth £17.8 million but is kept locked away for nobody can see it. Meanwhile the councils spends millions a year on debt interest. “The draft arts strategy is emerging, and nothing has been decided as yet. Once the strategy has been agreed and finalised, further work will be undertaken to confirm how the Cecil French collection is to be put on display and the amount of funds that would need to be raised.